Look for the check box to "Allow Bookerville to block dates on your Bookerville calendar from VRBO's iCal feed". Be sure to check the box. Next you need to find your VRBO iCal feed URL. To find your VRBO iCal feed URL, read VRBO's instructions on it. Look at the "Import external calendar" section of this page: Finding Your VRBO iCal Export URL. Copy the URL (Ctrl-C) and paste it (Ctrl-V) into the field in your Bookerville Property Setup page. 1) Be sure to read the "What's This" next to it for important details. 2) Bookerville currently reads external iCal feeds once per night (2:30 am Eastern Time). 3) As of March 16, 2016, Bookerville is no longer removing bookings from your Bookerville calendar simply because those bookings don't appear on an external iCal feed. Instead, Bookerville sends an email to you notifying you of the booking that seems to be missing from the external iCal feed, so that you can investigate and remove it manually if needed. This is due to the unreliability of certain external iCal feeds. Thanks.. this is very useful information.. Thanks for sharing.. Does anyone have experience with FlipKey offering this workaround? Quite frustrating when some properties listed prior to the changes allow emails and more recent properties listed do not. Niseko Boutiques - are they hiding the guest email addresses from you? Yes John, with the new Flipkey policies, names and email adresses are not revealed until a deposit is paid. I will try listing on the other sites now that there is a work around though..
You might try reaching out to your account rep at FlipKey and tell them you are about to switch to a different listing site because of this policy. My suspicion is that may make them change their mind about it. 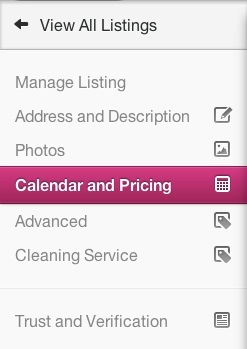 Have you been able to obtain the calendar and other synch with VRBO yet through iCal? Hi Patrick - yes, there are two ways to do it. You can enter your VRBO iCal feed URL that they provide into your Bookerville property setup. Bookerville will read it every night and block dates on your Bookerville calendar. Alternatively, HomeAway is now providing iCal sync with external feeds, so you can copy/paste your Bookerville iCal feed URL into your HomeAway account, and they will apparently sync from that. 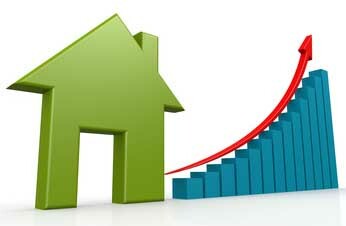 If a inquirer asks for a quote and receives the auto response and then comes back and asks a question through VRBO does that mean they get the 2nd auto response? This looks like this is what happened. I am not sure if this is a good thing. It looked to me as if they got the same auto response twice. Is this correct? Note: don't try to enter in the above example URL. You need to use your own, located in your Property Setup page. Ask for help if you need it. Done! It will sync periodically or you can choose a sync now option. Bookerville would like to express many thanks to member Penelope ("noeflat") for providing this to help others. Well done Penelope, thank you! Hi Gene - I think we spoke about this on the phone but I wanted to chime in here for anyone else you might read this. The sync is one-way, from Bookerville to the other sites. This tends to work very well as you may be getting bookings from a variety of sources, so once they are entered into Bookerville, they will appear on your FlipKey and AirBnB calendars, and any other site that will read a standard iCal feed. Does this export the Pricing for each unit from Bookerville as well? Or just whether the unit is booked or available? Hi sunspot - this only exports availability data. I believe AirBnB has an API that might facilitate richer integration, but I think they only open it up for managers with many properties. I would ask your AirBnB rep about that - tell them you're using Bookerville and you want integration. Have them reach out to us. John , im just setting up my properties in bookerville, so i have to enter booked dates manually for every propery i list? Yes, although if you use the Auto-Responder, then it's just a click of a button from your Dashboard. John. I'm still a little confused here. Let's say I get a request on Airbnb itself. Will it show on Bookerville automatically or will I have to enter this manually on Bookerville? If you're not using the Channel Manager (BookingPal), then yes, you'd have to enter them manually into Bookerville. AirBnB will sync their availability calendar by reading Bookerville's iCal feed, so it's one-way using that technique. Question: does AirBnB provide an iCal export that Bookerville could read? 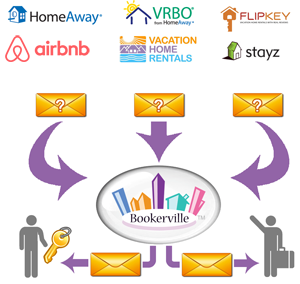 Consider using the BookingPal Channel Manager: Bookerville has partnered with them. There is no extra cost to use them. When you go that route, you get full data integration, including features/amenities, rates, taxes, photos, etc. and also two-way, real-time calendar sync.